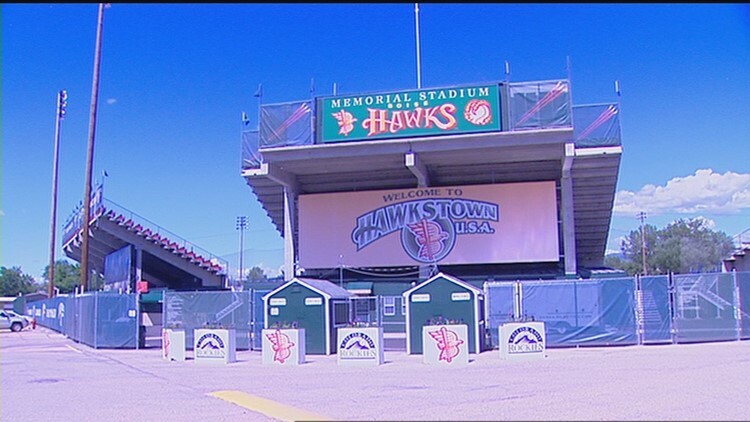 The Boise Hawks have made a number of improvements to Memorial Stadium in the off season. Memorial Park will be the site of the first Minor League all-star game hosted in Boise since 2007. BOISE — Boise is set to host its first Minor League all-star game in more than a decade. The Boise Hawks held a press conference Thursday afternoon announcing that Boise will play host to the 2019 Northwest-Pioneer League All-Star Game. The Hawks have played in the Northwest League since 1987. This will be the first all-star game hosted in Boise since 2007. "We are so proud to be hosting the all-star game next summer," said Bob Flannery, Boise Hawks general manager. "This is a great accomplishment on all fronts for the Hawks organization and for our community." On Twitter, the Hawks said they have been waiting to announce this decision since the start of the season. Today is August 9, 2018 and we’ve been talking about this day since the beginning of the season. We’ve got news for you. Stay tuned. Although the Hawks did not discuss any new information on the proposed Boise Sports Park, the all-star game is scheduled to be played at Memorial Park on August 6, 2019. A finalized schedule will be released later this year, including ticket information and associated events held throughout the Treasure Valley.